Preparation work is 75% of any paint job in Tampa Bay and we take great pride in doing it right. Arrow Painting Restoration offers a wide range of ideas and colors for interior painting for your Tampa Bay home. One of the biggest parts of interior painting is the preparation. If these steps aren't followed properly, mishaps will occur. Our Interior Painters learned early that the key to a successful interior paint job is the preparation. 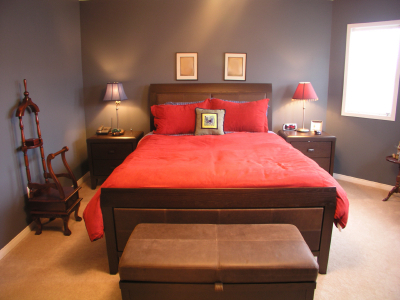 Properly preparing a room for painting allows for easy clean up and a more professional end result look. Whether it is coming in to paint one room or an entire home, all of our jobs are viewed in the same manner, an investment in our future and our customers complete satisfaction. contact Arrow Painting Restoration today at (813) 840-3717, (727) 804-5411 or (941) 870-8078, or complete our estimate request form. 33701, 33702, 33703, 33704, 33705, 33706, 33707, 33708, 33709, 33710, 33711, 33712, 33713, 33714, 33715, 33716, 33729, 33730, 33731, 33732, 33733, 33734, 33736, 33737, 33738, 33740, 33741, 33742, 33743, 33744, 33747, 33755, 33756, 33757, 33758, 33759, 33760, 33761, 33762, 33763, 33764, 33765, 33766, 33767, 33769, 33770, 33771, 33772, 33773, 33774, 33775, 33776, 33777, 33778, 33779, 33780, 33781, 33782, 33784, 33785, 33786, 34660, 34677, 34681, 34682,34683, 34684, 34685, 34688, 34689, 34695, 34697, 34698. 33503, 33508, 33509, 33510, 33511, 33527, 33530, 33534, 33540, 33544, 33547, 33548, 33549, 33550, 33556, 33558, 33559, 33563, 33564, 33565, 33566, 33567, 33568, 33569, 33570, 33571, 33572, 33573, 33575, 33578, 33579, 33583, 33584, 33586, 33587, 33592, 33594, 33595, 33596, 33598, 33601, 33602, 33603, 33604, 33605, 33606, 33607, 33609, 33610, 33611, 33612, 33613,33614, 33615, 33616, 33617, 33618, 33619, 33620, 33621, 33622, 33623, 33624, 33625, 33626,33629, 33630, 33631, 33633, 33634, 33635, 33637, 33646, 33647, 33650, 33655, 33660, 33661, 33662, 33663, 33664, 33672, 33673, 33674, 33675, 33677, 33679, 33680, 33681, 33682, 33684, 33685, 33686, 33687, 33688, 33689, 33694, 33810, 33860. 33523, 33524, 33525, 33526, 33537, 33539, 33540, 33541, 33542, 33543, 33544, 33545, 33548, 33549, 33556, 33558, 33559, 33574, 33576, 33593, 33597, 33809, 33849, 34610, 34637, 34638, 34639, 34652, 34653, 34654, 34655, 34656, 34667, 34668, 34669, 34673, 34674, 34679, 34680, 34690, 34691, 34692. 33598, 34201, 34202, 34203, 34204, 34205, 34206, 34207, 34208, 34209, 34210, 34211, 34212, 34215, 34216, 34217, 34218, 34219, 34220, 34221, 34222, 34228, 34240, 34243, 34250, 34251, 34260, 34264, 34266, 34270, 34280, 34281, 34282. 334223, 34229, 34230, 34231, 34232, 34233, 34234, 34235, 34236, 34237, 34238, 34239, 34240, 34241, 34242, 34272, 34274, 34275, 34276, 34277, 34278, 34284, 34285, 34286, 34287, 34288, 34289, 34292, 34293, 34295.